The Elder Scrolls: Skyrim was the first video game I ever played. 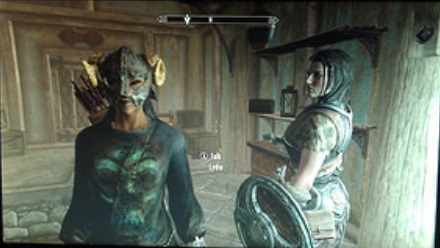 I was fortunate enough to experience the Oculus Rift in January 2014 and found it an amazing experience, then someone on Facebook suggested I try it with Skyrim..
At that time I had no Idea what Skyrim was, as I’ve never played a video game, but I looked it up on Youtube and was immediately pulled in by it. It had all the elements of Lord of the Rings but you could actually be in it too!!! I rushed out and bought an Xbox 360 and 24 inch monitor, the console came with Halo 4 and Tomb Raider but more on those later. I played the game for months and months, fell in love with alchemy, enchanting, my beautiful Dawnbreaker sword and Erandur..